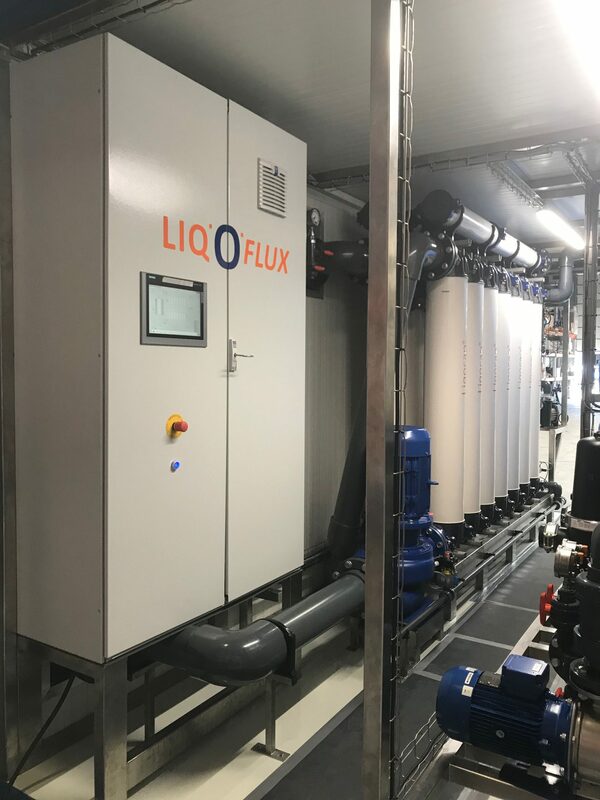 We are very proud that Liqoflux is selected as the harvesting and water recycling equipment provider of the largest microalgae production and biorefining facility in Europe. The first Liqoflux unit will be delivered in April 2019. 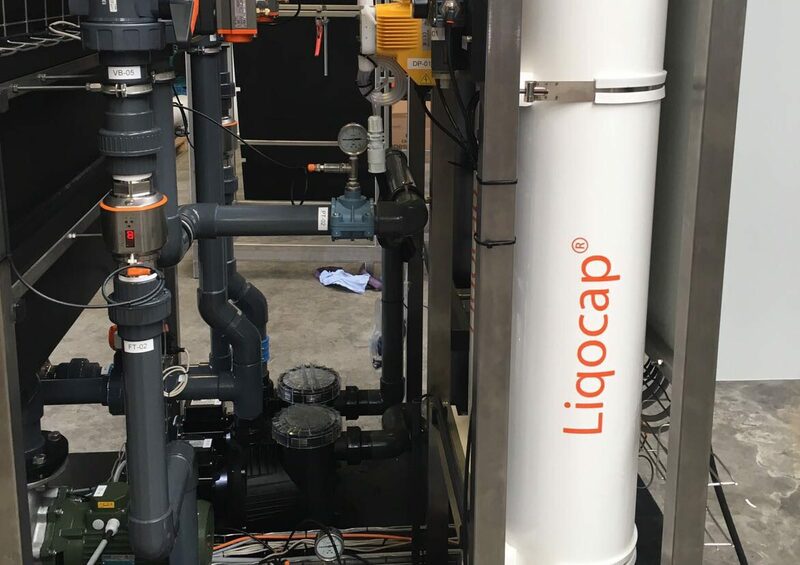 The Liqocap® filters are the key components of the Liqoflux solutions to effectively separate the algae from the water. Liqoflux selected the right filters for algae pre-concentration and water purifying and recycling. 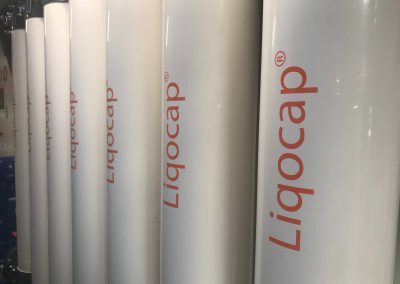 The Liqocap® filters are selected with the algae specific requirements in mind: stable flux, minimal fouling and reliable retention of algae cells. As all other capillary filters, the membrane serves as a selective barrier. The Liqocap® filters contain capillaries with modified Polyethersulphone (PES), increased inner diameter and pore size of 0,02 micron. 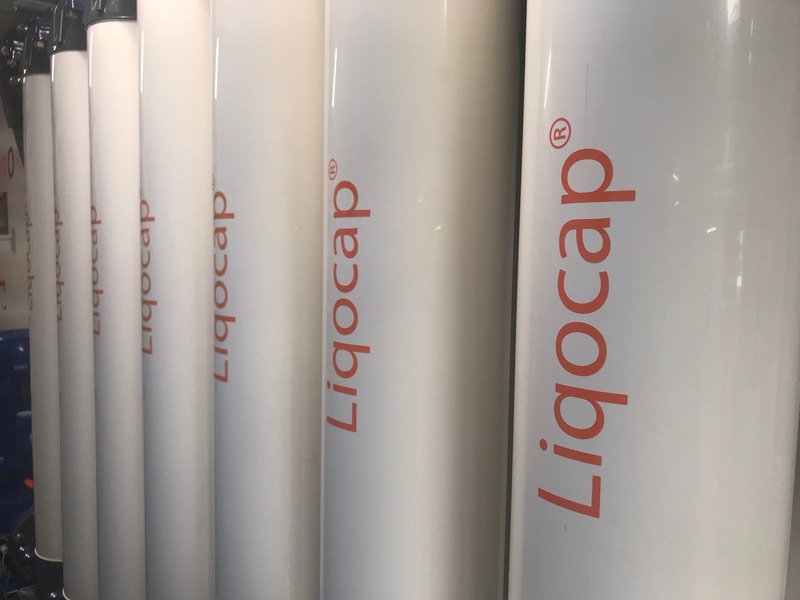 Based on client’s data, together with our membrane partner, we are striving for continuous improvements on the Liqocap® filters. 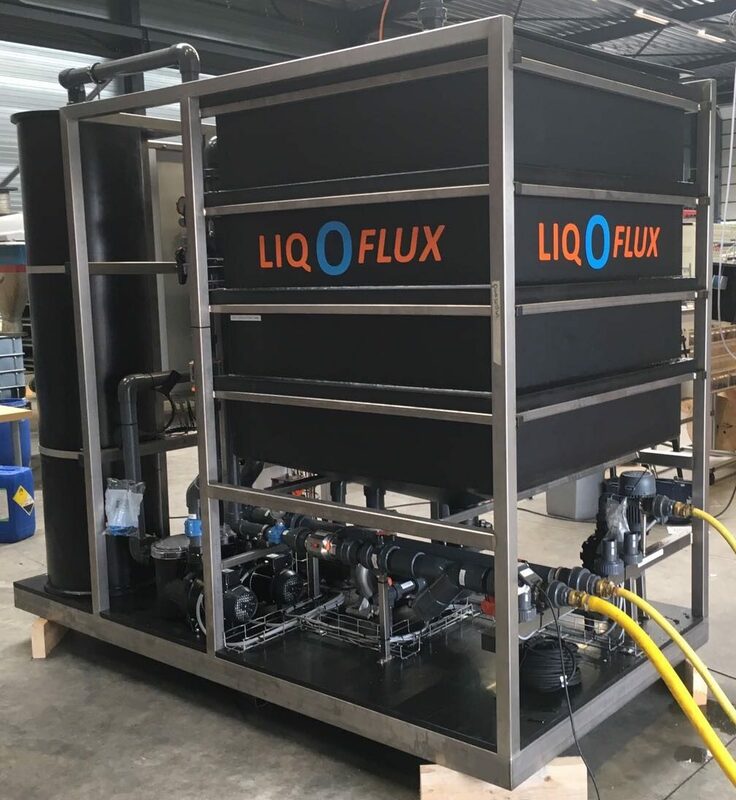 Start with the Liqoflux Algae Pre-Concentration System to separate the ‘easy’ water and pre-concentrate the algae culture up to 10-40 grams per litre. Select the right separation technology (*) to separate the ‘difficult’ water and produce a high dry solid algae paste. We know the challenges in the algae downstream process and the requirements for the pre-concentration of algae cultures. 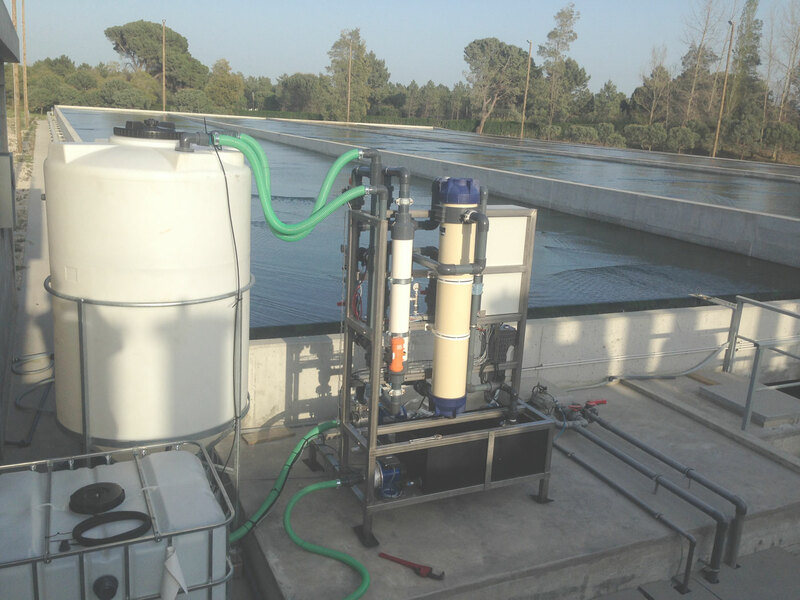 The Algae Pre-Concentration System is specially designed and built for the algae industry. The Algae Pre-Concentration System separates the algae culture into a concentrate containing all the algae cells and clean effluent water, free from algae and bacteria. The clean water is ready for recycling to your algae production system. 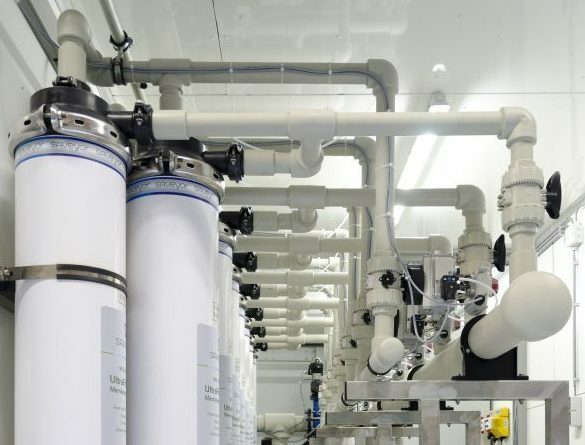 The smooth structure of the membranes and the well designed flow in the Algae Pre-Concentration System prevents algae from damaging and keeps the algae-cells fully intact. 100% separation and concentration of the algae biomass, no loss of algae. We deliver standard containerized units for processing up to 80 m3/h of algae culture. 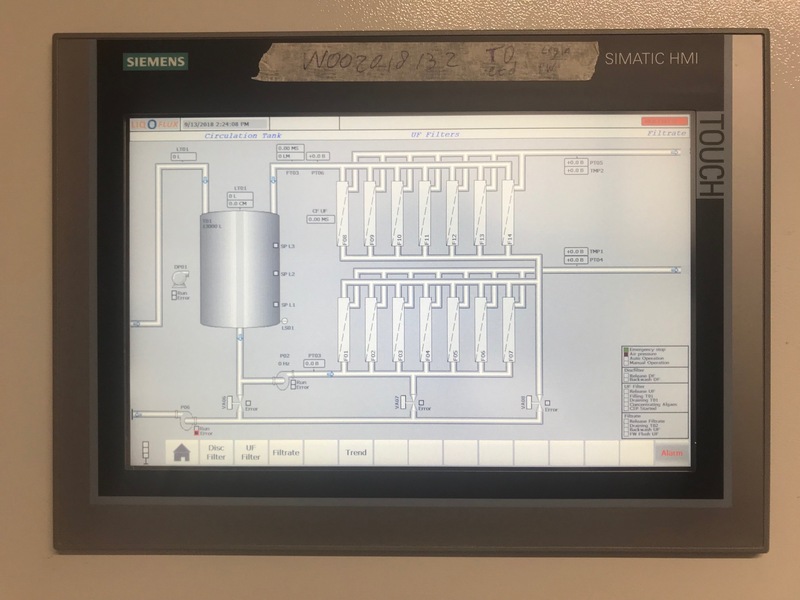 The operation of the Algae Pre-Concentration System is fully automatic and PLC controlled. 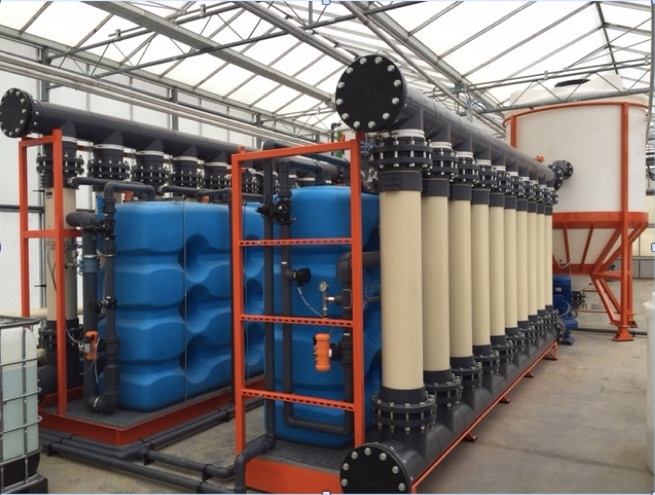 The Algae Pre-Concentration System is suitable for food-grade and both fresh and marine water applications. For many algae producers, recycling of the effluent water, after harvesting the algae, is an absolute necessity. 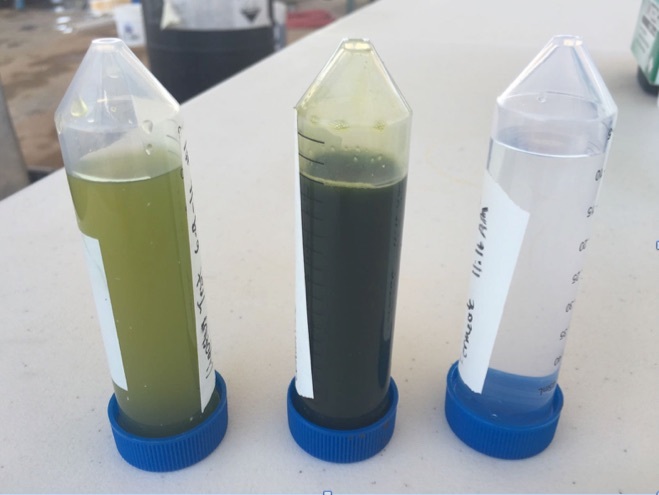 It’s our experience that centrifuges do not harvest 100% of the algae biomass. The effluent of the centrifuge contains the ‘lost’ algae cells. 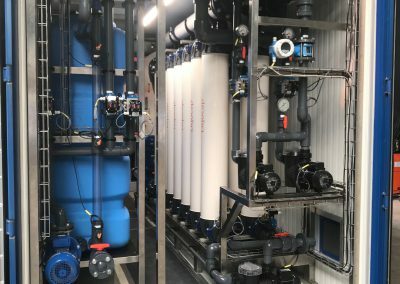 The Liqoflux Capillary Water/media Recycling System processes the effluent into (1) a concentrate containing all the ‘lost’ algae cells and (2) clean water. The clean water, free from algae cells and bacteria is ready for recycling to your algae production system. The concentrate can be recycled back to the centrifuge for harvesting. This process harvests 100% of the algae biomass! 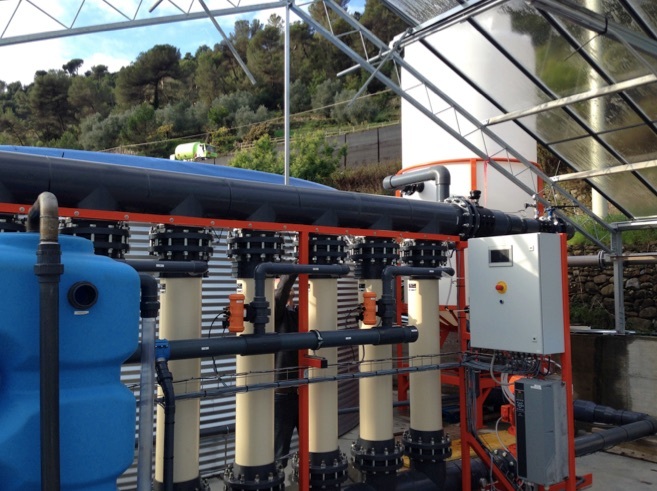 We deliver plug-and-play Water Recycling Systems, using the right materials for both fresh and marine applications. With the Liqocap® filters, specially designed for the Algae industry, we secure the production of clean water. 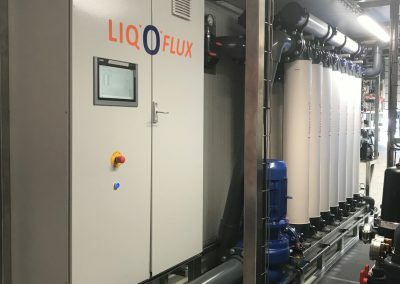 The Liqoflux Water Recycling System separates the effluent of the harvesting centrifuge into a concentrate containing the (lost) algae cells and clean effluent water, free from algae and bacteria. 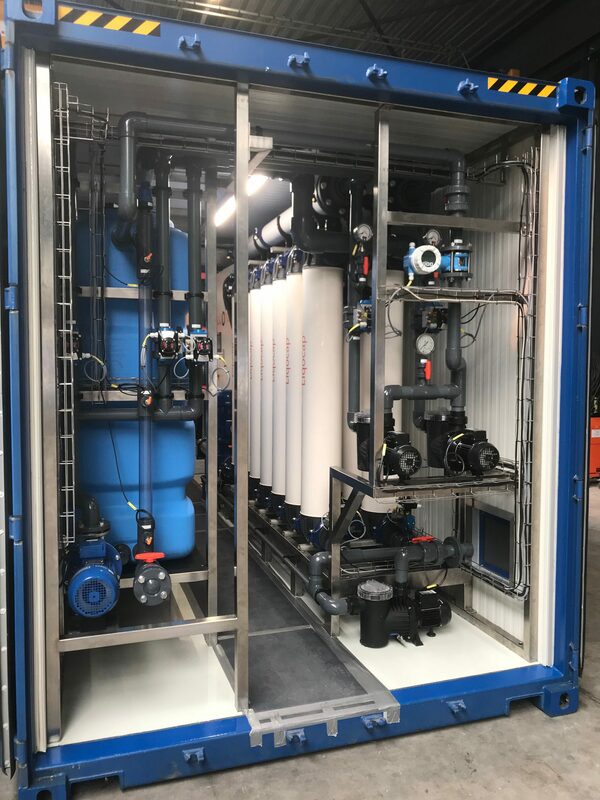 The clean water is ready for recycling to your algae production system and the concentrate in recycled back to the harvesting centrifuge resulting in 100% separation of the Algae Biomass. 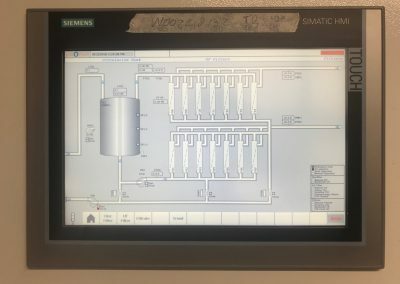 The operation of the Water Recycling System is fully automatic and PLC controlled. 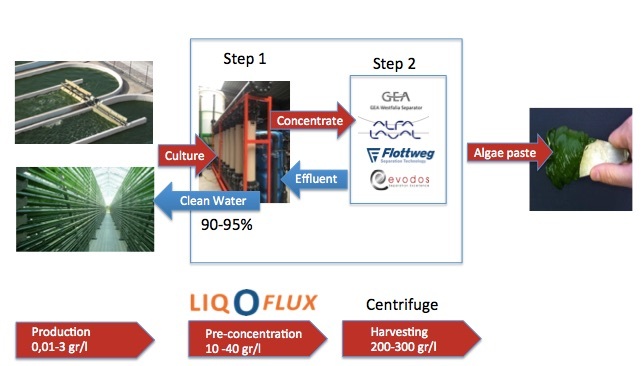 Liqoflux demonstrates excellent performance results at client sites working with different algae strains in both pre-concentration of algae cultures as well as water recycling. We offer solutions to process low volumes of algae cultures at pilot sites, to containerized solutions for high volume processing at algae production sites from 10 m3/h up to 80 m3/h. The flow rate is dependent on e.g. the algae strain, concentration of the algae culture, water quality and water temperature. Our systems are made of reliable, high quality class A technical components and manufactured under rigorous quality control. The Liqoflux Pilot systems contain 1 or 2 Liqocap® filters. The processing capacity varies from 1 – 1,5 m3/h with the LF1AL22 to 2 – 3 m3/h with the LF2AL22. The Liqoflux Production systems contain between 10 and 56 Liqocap® filters. The processing capacity varies from 10 – 15 m3/h with the LF10AL22 to 50 – 80 m3/h with the LF56AL22. Please contact us for your specific requirements. When you submit this contact form, we will get back to you.